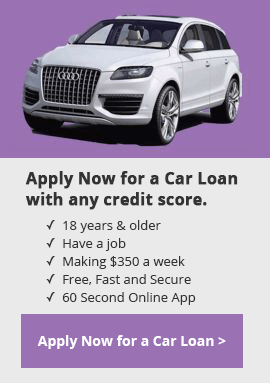 Have you lost the excitement that comes along with purchasing a car because of your credit score? Do you feel like you are on a hamster wheel and that you aren’t making any progress towards getting a car. Don’t worry we can help! It is completely possible that you do not have bad or no credit and that the dealers are wrong. Maybe you have credit cards, car loans, or even mortgages that aren’t showing on your credit report, or even late payments that shouldn’t be showing on your credit report. The only way to find out is to gain access to your credit score and verify it for accuracy. Please keep in mind that as long as you are eighteen years of age, make $8.75 an hour, and work full time, you are eligible to apply. Upon applying online through our SSL secured website, your loan application will immediately be processed and we will attempt to match you with a dealer or lender in your area. If you are matched you will receive an email and/or phone call from a local dealer or lender to discuss coming to choose a car. Apply now and take advantage of our free no obligation loan matching service.